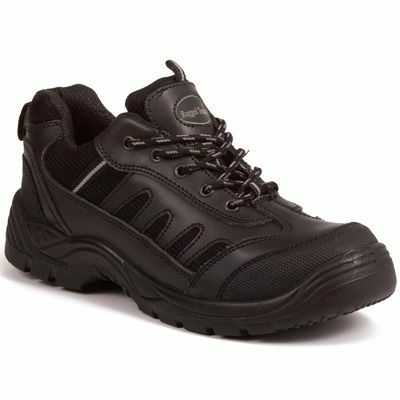 You wouldn’t look out of place jogging in the park in these steel toe cap trainers, but they’re packed with features which make them ideal for use in environments where protective footwear is required. 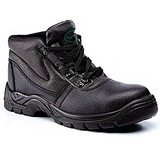 Like all shoes & boots in the range we can usually dispatch on the same working day as your order. Along with 200 Joule steel caps and midsoles, our steel toe cap trainers have an oil resistant sole which also ensures safety on the slippiest of surfaces. 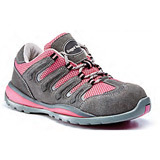 Throw in a range of comfort features, scuff resistant toe and counter heel for good measure, and you’ve got great trainers that look good, feel great and will give you tough and long-lasting protection!